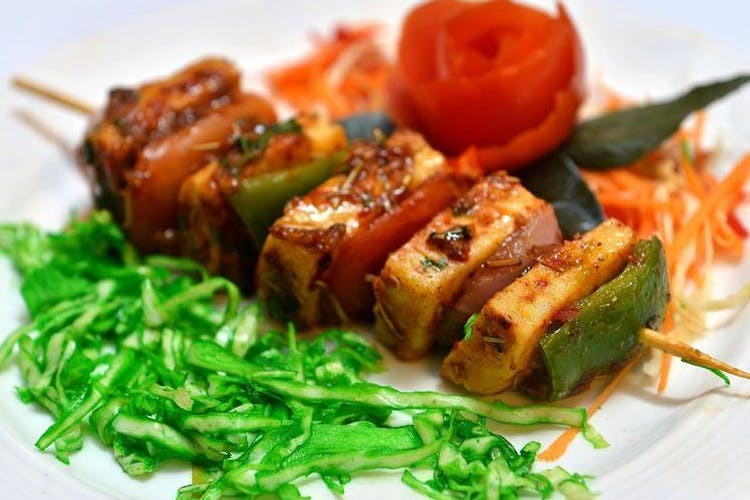 A grill house just for vegetarians, Holy Grill is the newest only vegetarian restaurant on Khader Nawaz Khan Road in Nungambakkam. Vegetarian food is an afterthought at places like Barbecue Nation, but at Holy Grill there’s plenty of variety and it’s attractively priced too! They’re known for their INR 600 buffet meal comes with your choice of soup, five different salads, six different starters from the on table grill (potatoes, mushrooms, paneer, peppers, zucchini, corn on the cob and paneer! ), two more starters from their kitchen (chili potates, salt and pepper American corn), a range of curries, rices and dessert. If you’re a vegetarian and you’re looking for something new in town, then this is for you. If you’re going à la carte, you’ll be excited to know that all their portion sizes are big (so much so they’ve started offering half sized and half priced portions on Zomato!). We’re excited to see Grill House going over and above the usual regular paneer tikka and pineapple fare that grill restaurants stick to, so stay tuned to LBB for a full review of Holy Grill. For more info and attractive offers, click here.